Just before March ended, Subaru unveiled a redesigned Forester for the 2019 model year. The update was minor, with the automaker focusing on improved fuel economy and more cargo room. It looks mostly like the old one, though with fresh lines, and a revised front and rear end. However, even with the 2019 Forester riding on the new Subaru Global Platform (SGP) and increasing the wheelbase by 1.2 inches, we’re still missing a proper STI version, which at this point, is nothing short of a travesty. That’s why this rendering from X-Tomi Design posted on Facebook needs to go from a drawing to something tangible in the real world – for a multitude of reasons. Yes, the 2019 Forester’s 2.5-liter flat-four engine is now more powerful, making 182 horsepower and 176 pound-feet of torque (an increase of 12 and 2, respectively), but it’s nowhere close to the true STI levels of performance. 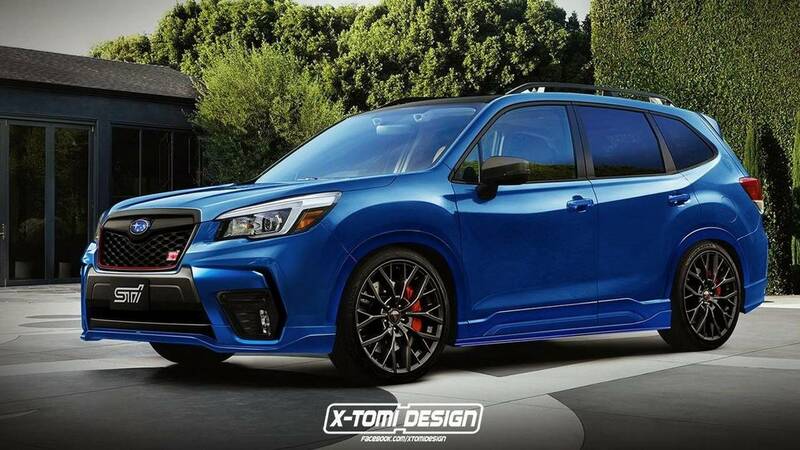 What X-Tomi Design did was take the new Forester and turned it into a sporty STI version. It’s the closest thing we’ve seen to a Forester STI since the Japanese market received the Forrester tS in 2015 – 300 examples of the crossover tuned by STI. That special-edition Forester received several STI enhancements, like STI branding inside and out along with unique red stitching, Brembo brakes, and unique tuning for more power and better response. Sadly, it was only available with a CVT. 2017 Subaru Forester | Why Buy? This new design lowers the crossover significantly, giving it a more wagon-like appearance, which is downright pleasant to look at it. 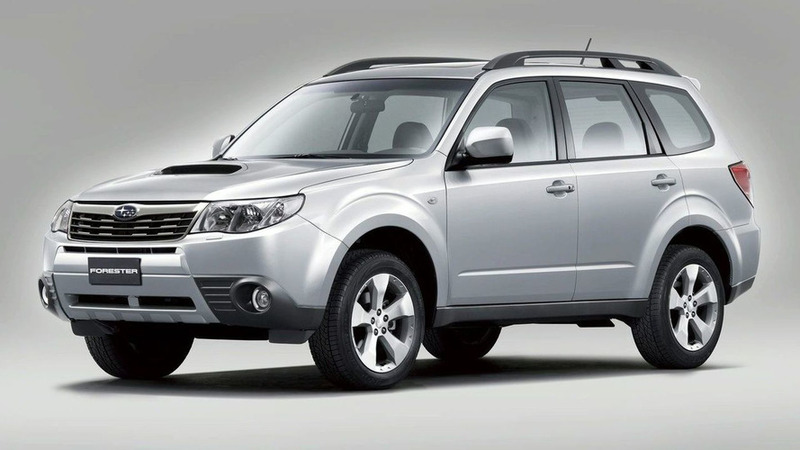 Before the Forester became a large family crossover it started life as a wagon – and a popular one at that. Subaru’s iconic blue exterior paint is amazing on the rendering, especially when contrasted with the red STI visual cues in the grille. There’s a new spoiler, new rims, and an overall sporty design we wouldn’t mind driving. Take the turbocharged 2.5-liter engine from the WRX STI and its 305 horsepower, give it a manual transmission, and we’d be happy campers. However, the market really isn’t to wagons right now, so maybe Subaru doesn’t go as extreme on lowering it. The company doesn’t even have to allow the Forester STI to make the same 305 hp. Detune it and market it as a sporty crossover to new parents who dreamed, or had, an STI in the past. This seems like a great idea, but then again, we’re not the automaker.